Common core is turning into a divisive issue in education and politics, but opponents should give the standards a chance to work before writing them off. COMMON Core has been unfairly blamed for a variety of problems in America’s schools, from over-testing at Nathan Hale High School in Seattle to teachers not instructing elementary school kids to write in cursive. While opponents should analyze effective teaching and appropriate accountability measures, they should do their homework. Here is what Common Core is: national guidelines for what students should know at certain grade levels and by the time they graduate from high school. The standards were developed by two national organizations of state governors and education commissioners using input from teachers, parents, school administrators and experts from around the country. Washington’s Legislature voted to adopt the standards in 2011. Since then, Common Core has been relatively uncontroversial in Washington with broad support from the state schools chief, lawmakers and advocacy organizations, such as Stand For Children, League of Education Voters, Washington Roundtable and Washington State PTA. The state teachers union adopted a neutral stance. 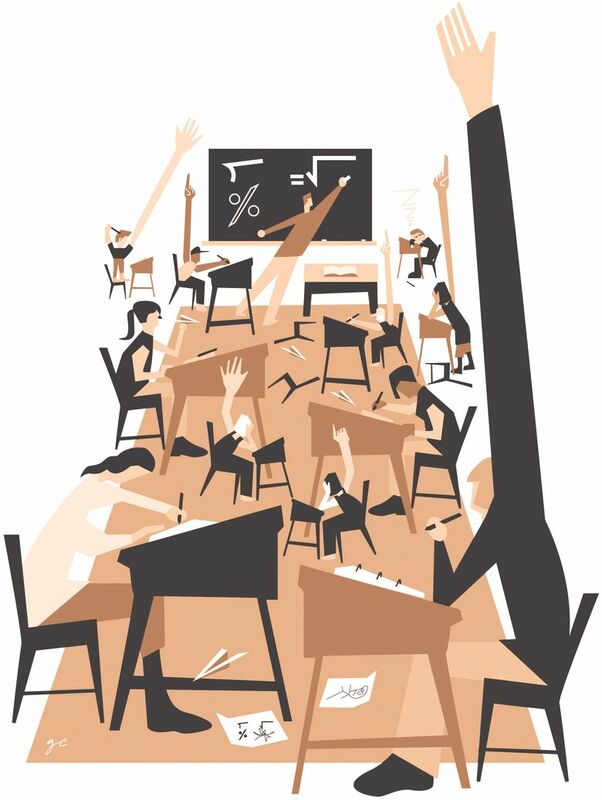 Still, some school officials, parents and the group Stop Common Core WA argue that Common Core takes away local districts’ control, leads to over-testing, limits teachers in what and how they teach, and that the standards are too rigorous or, alternatively, not rigorous enough. Common Core does not prescribe curriculum or means of implementation. School districts and teachers remain responsible for deciding what material to teach and how to teach it. The standards don’t prohibit teaching cursive or using flash cards — another widely circulated complaint. Federal guidelines require measuring progress with annual tests from third to eighth grade and one test in high school. Washington chose the Smarter Balanced Assessment for high school and will administer it for the first time this year. High school students already had to pass an exam to graduate. So some, like those at Nathan Hale, are required to take tests two years in a row. The previous test, the High School Proficiency Exam, will go away after 2016 as schools transition to Smarter Balanced. Schools and districts also give students supplemental tests, which could contribute to over-testing concerns. Recently, Seattle School Board members Sue Peters and Betty Patu suggested suspending the Smarter Balanced tests across the district over concerns that the test is too hard and more students will fail than they did previous tests. Randy Dorn, the state’s superintendent of public instruction, said it might take time to adjust to harder tests, but a higher standard is better in the long run. Students need more skills and knowledge now more than ever to succeed in college and the workforce, he said. More than half — 58 percent — of the state’s high school graduates need remedial courses upon enrolling in community and technical colleges. By no means do tests provide a full picture of a student’s achievements, but they are an important tool for determining what students have learned and their skill levels, where they need to improve and how they rank among their peers — within the same classroom and across the country. Standards serve as a blueprint, but the real work toward student achievement happens in the classroom. Instead of fighting the new standards, parents and educators should focus on helping students meet and exceed those standards.